Send Us Photos and Videos! 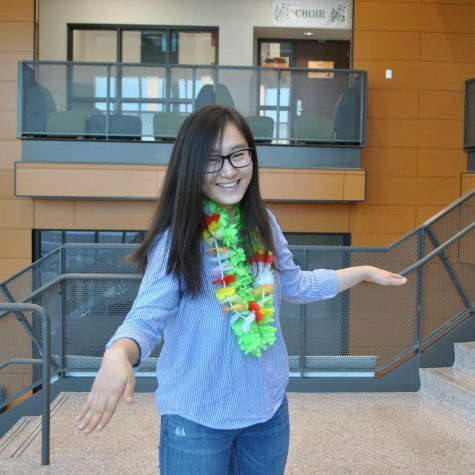 After surviving sophomore year, Kerui Yang is proud to say that she has officially made it to junior year. And now that she has risen from staff writer to page editor, she aims to make her pages look the best and to not embarrass herself by tripping on her way to the door (but everyone trips at least once a day, right?). In her free time, you can find her binging YouTube videos or trying to paint something because she felt inspired... after watching YouTube… which usually ends up failing because she forgets she can’t paint. As for extracurriculars, she’s usually either arguing with everything and everyone on the debate team, trying to play the piano, or trying not to hurt herself while doing science experiments (extra emphasis on the word “trying”). However, Kerui puts 100% effort into everything she does, so be ready for the incoming articles- that is, as long as she doesn’t hurt herself too much when she trips. The official student-run news publication of Edina High School.